Mechanical work can be defined as the area inside a pressure-volume curve. Therefore, the mechanical work of breathing can be calculated from a plot of lung volume versus alveolar pressure, measured under the dynamic conditions of flow, as shown in Fig. 8. This calculation would include work done by muscular contraction and work done on the system by elastic recoil of the lungs and chest wall. Work done on the respiratory system is ultimately fueled by muscular effort to inhale. Hence, O2 consumption by respiratory muscles, called the O2 cost of breathing, is the physiologically relevant measure of the work of breathing. The O2 cost of breathing is low in healthy individuals at rest, comprising only 1-2% of resting Vo2. The O2 cost of breathing depends on factors influencing the pressure requirements for ventilation, such as lung and chest wall mechanics, and airway and tissue resistance, as discussed earlier. It also depends on the efficiency of skeletal muscles converting chemical energy into mechanical work. Efficiency is defined as the ratio of effective mechanical work to the energy input, or O2 cost, and it is about 20-25%, for aerobic muscle activities such as cycling and breathing. 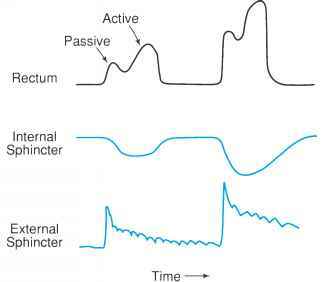 Muscle efficiency is also influenced by the degree of overlap between myosin and actin filaments (which influences the length-tension relationship of skeletal muscle), so posture and the resting length of sarcomeres in the diaphragm can also influence the O2 cost of breathing. During high levels of ventilation, the work of breathing increases considerably and the O2 cost can reach 15% of the total at maximal exercise. At high levels of ventilation, it becomes more important to minimize mechanical work by adjusting the breathing pattern to optimize the pressure-volume and pressure-flow relationships. As shown in Fig. 9, resting breathing usually occurs around FRC, and maximum ventilation tends to occur around midlung volumes too. Ppl can change up to a maximum of 100 cm H2O during inspiration and 150 cm H2O during expiration. Extreme pressures and volumes do not usually occur during physiologic breathing movements, and this reduces the work of breathing. Pulmonary disease increases the mechanical work and O2 cost of breathing not only by increasing airway resistance, but also by altering lung volume and compliance.